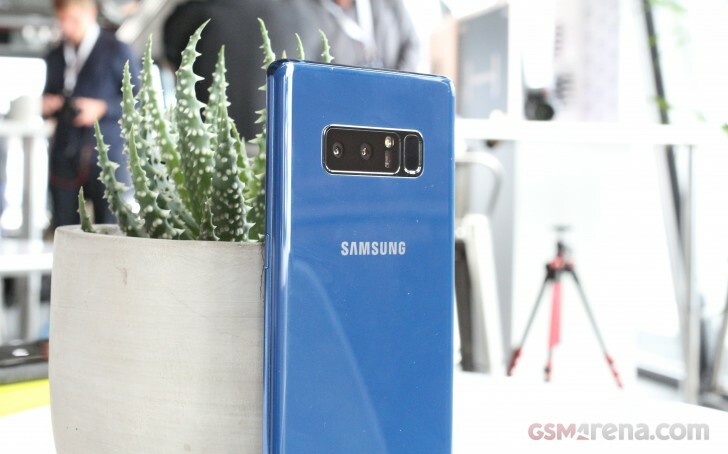 The Samsung Galaxy Note8 is set to start selling in the US, UK and Europe, Canada and Australia on September 15 while Indian buyers will be able to pre-order the Galaxy Note8 starting September 11. The phone is set to start shipping the first week of October. The phone will be an Amazon India exclusive outside of Samsung's own online store. The projected price of the Galaxy Note8 will be INR 74,900 (around €990). The price looks about right considering that the Samsung Galaxy S8+ costs around INR 66,000. Tell me how that works out now seeing what the V30 actually offers sadly in comparison to the big hope and hype.